Palakachi patal bhaji is a Maharastrian dish and I had bookmarked this recipe sometime back when my FB friend P had posted in a food group.She had given the link of Chakali where most of the traditional Maharastrian dishes can be found under one roof. Vaidehi bhave of Chakali has a great collection of Maharastrian dishes.Since my hub S and me love the Mumbaiyya delicacies this site is of great help.Coming back to the dish ,it was a superhit and I just loved it.Goes well with rice or roti.Goda masala enhances the taste of the dish ,but since I didn’t have I did not use it, next time will get it from Mumbai . Soak the peanuts and chana dal together for 7-8 hours or overnight. Pressure cook the soaked ingredients for 3-4 whistles adding 1 ½ tsp salt. 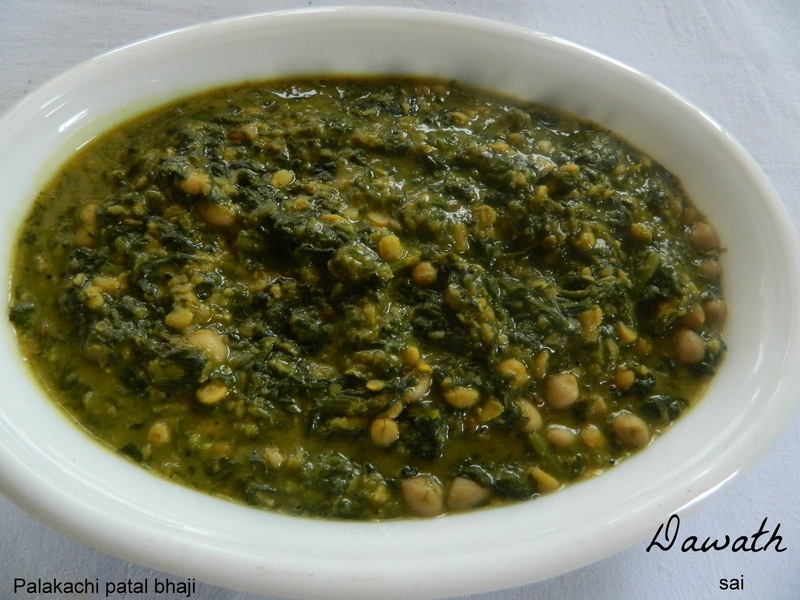 Wash the palak thoroughly and chop it finely. Heat the oil in a pan and splutter mustard seeds,add hing,methi,chopped green chillies, turmeric powder and fry for a second. Turn the heat on medium and add chopped palak leaves,close the lid and cook for sometime. 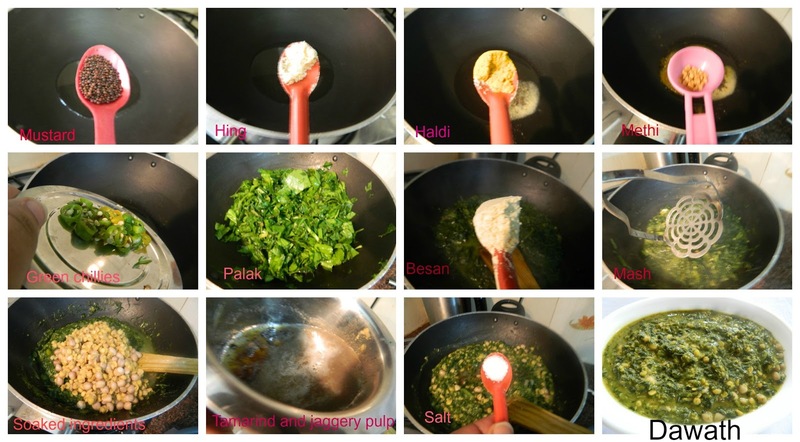 After couple of minutes add besan and mash it with a masher so that lumps are removed and it gets blended well. 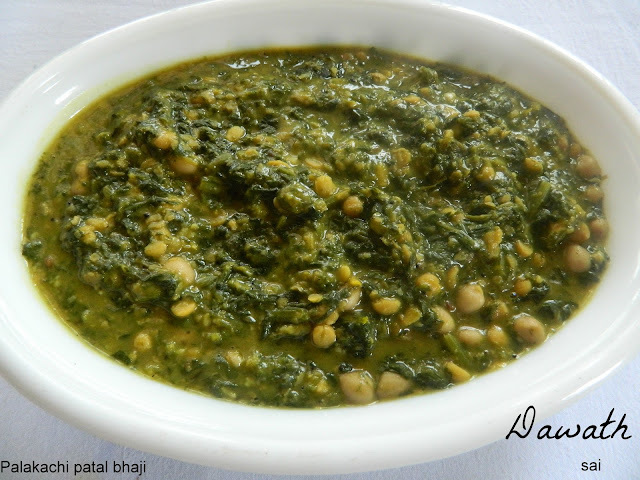 Once the spinach gets mashed well add boiled ingredients,salt to taste, tamarind pulp and jaggery. You may also add Cashewnuts and goda masala. (I did not add both). You may also add garlic while seasoning,but I did not add since hing was added. Keep the dish medium thin.